I'm in shock JAVA license cost money! It’s might not be surprising that TFS 2017 upgrade has changes at the process like elastic search installation as part of TFS search infrastructure. How to make a relationship between "Parent" and "External Child"
1. Do a baseless merge (command line). For example: tf merge /recursive /baseless "$/TeamProject/src/External Child" "$/TeamProject/src/Parent"
3. 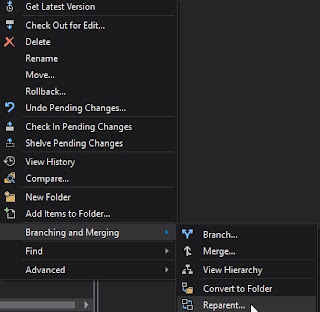 From Visual Studio: Right click on "External Child" select "Branching & Merging"àReparent. 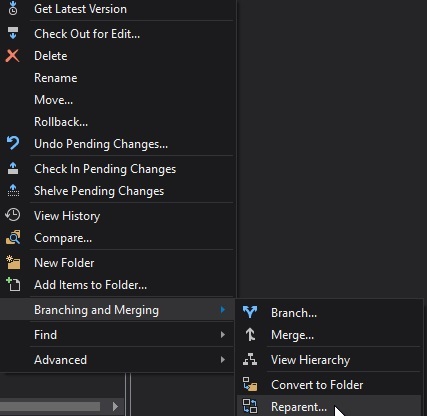 Select "Parent Branch"
Microsoft has officially launched the latest version of its Visual Studio 2015, after a year of previews and a release candidate, and the new .Net framework 4.6. 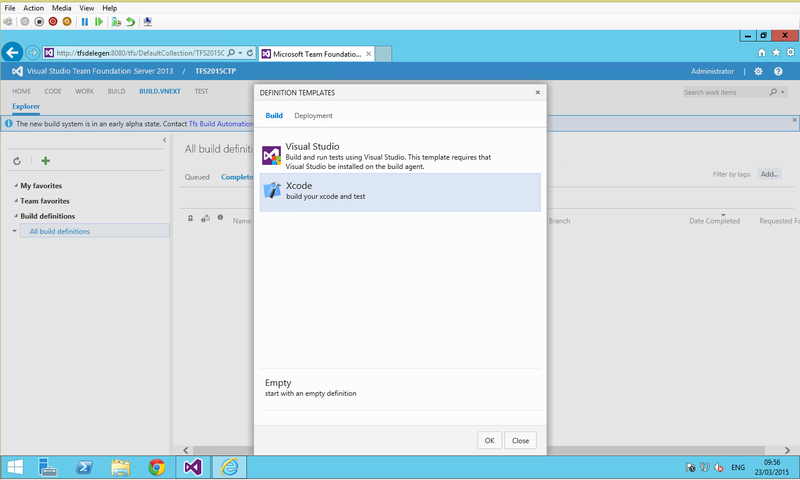 Visual Studio 2015 is now available for download from MSDN and Visualstudio.com. We are all familiar with the issue, when we want to write some application that connect with TFS. 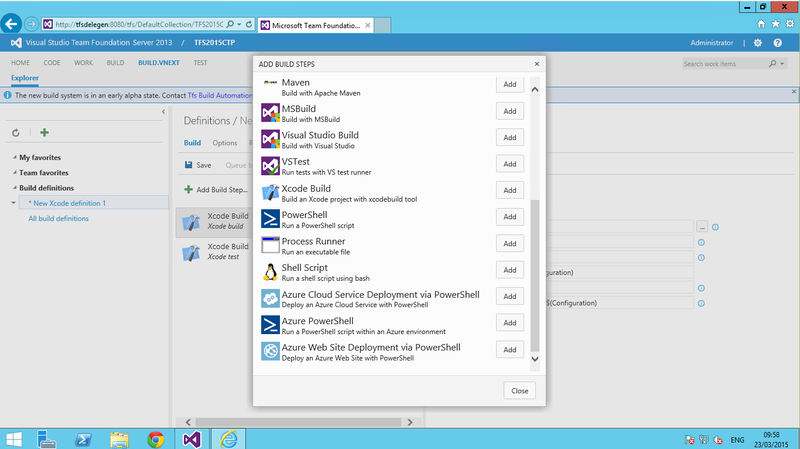 In order to prepare our solution for TFS API we have a several DLLs that we need to reference to (image below e.g.). 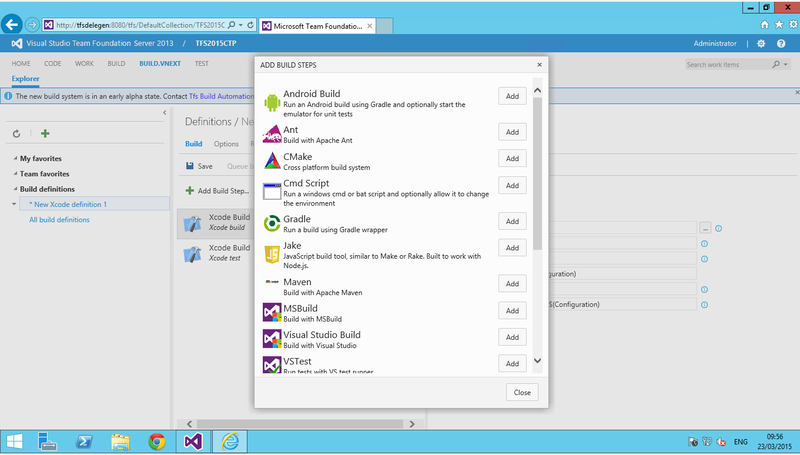 I didn't believed it till I saw it myself, TFS 2015 (still in CTP stage) contains multiplatform build frameworks. XCode, Maven, Ant, Android build, Gradle, Shell script etc. is now part of TFS out of the box.